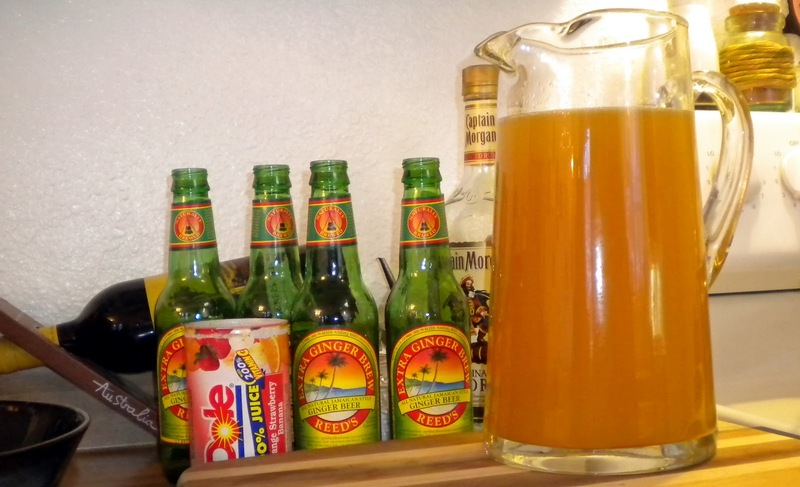 I got the idea for the Jamaican sunset when I decided to mix some fresh pineapple juice into a Jamaican ginger beer. I thought it tasted great but would taste better with a little rum. A little mixing later and this drink was born! As Zo says, "Man that stuff goes down too easy!" So be careful after you get done enjoying! Mix all ingredients in a large glass pitcher and chill until read to serve, goes great over crushed ice! Enjoy!